Bitcoin has not replaced the dollar or other national currencies because that is not the highest and best use of the underlying technology behind it. 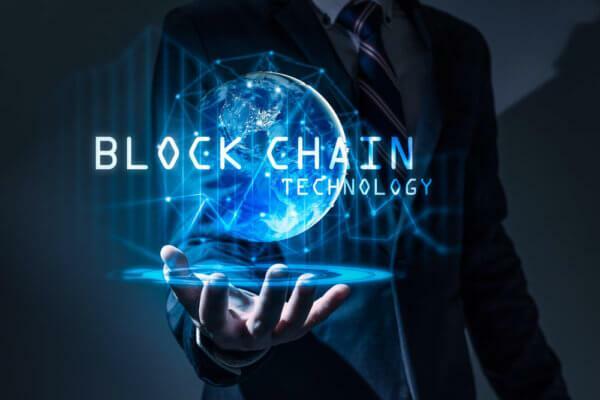 Instead, blockchain technology is making its mark across the world in the public and private sectors as an efficient and transparent digital ledger. The current rate of adoption ensures blockchain technology will continue to proliferate in thousands of applications. Yulia Slozhenikina recently wrote an article on banks and corporations shifting the focus away from the cryptocurrencies and to the underlying blockchain technology. I was intrigued by her experience and depth of knowledge on the subject of current blockchain implementations. She has been focusing on various areas of fintech, including the application of blockchain, for several years as a researcher and consultant to many companies implementing DLT. Note - All links provided are mine. Rob: Yulia, thanks for taking the time to speak with me regarding your work in the digital ledger and cryptocurrency space. Can you take a moment and explain your background in fintech and the technologies that you have been focused most lately? Yulia: Hi, Rob! I’m excited to have this interview with you and will be glad to share my vision for the blockchain technology and the insights I know. I discovered an interest in fintech industry in 2015 during a trip to London, where I attended a three-day Fintech week. One of the days was devoted to alternative payment systems, where, among other things, various crypto and blockchain projects were presented. Then there was networking, where I was able to communicate with industry pioneers, such as Bitcoin Foundation and Credits. The conference was held under the auspices of the British government, which highlighted these topics in a separate sector, important for the development of the state’s economy as a whole. At that time, not so many people knew about cryptocurrencies and blockchain, as in 2017, and projects more often developed at their own expenses. I was interested in how with the help of distributed registry technology, even those areas where mistrust prevails, can become practically transparent and trusted. For example, gambling. Today many casinos use various tricks that are difficult for an ordinary user to reveal. Blockchain excludes such kind of fraud - the results are recorded in the registry, which is accessible to any Internet user. By the way, the blockchain-based gambling project was one of the first projects with which I worked in this field. I helped it with various things - from media coverage to project management. The analytical knowledge that I was taught during my MBA courses was also useful. In general, I was interested to learn from the inside how such new and at the same time progressively developing startups build their business. Having gained quite valuable knowledge, in 2017 I began to share it with other businessmen. I advised many projects on strategy formulation, product positioning and building user communications. I shared the same knowledge with readers of popular media such as Cointegragraph, Bitcoinist, AltcoinToday, and Investing. At the end of the year, with two of my partners, we launched PR agency Magas PR, where we already officially started helping IT startups to spread the word about their products. Rob: Bitcoin and other cryptocurrencies crashed in 2018. Public sentiment seems to be poor on the future of the blockchain. Do you believe the cryptocurrencies will have a rebound in the public domain? Yulia: Cryptocurrencies are a fairly young and little predictable industry, and, apparently, a volatile one. Unfortunately, often changes in price and market sentiment are caused artificially, that is, by manipulation. Since 2016, I have seen numerous examples confirming this statement. At the peak of Bitcoin popularity, newcomers to the market reacted to any news without even checking whether it’s true or not. The price grew rapidly. Then some opinion leader said that there was no future for Bitcoin and the price fell. Those who were behind these manipulations could buy Bitcoin when its price fell and sell it when it surged. It was indicative, for example, that in March 2018, after CEO of Twitter (NYSE:TWTR) publicly announced that he believed and invested in Bitcoin, the cryptocurrencies price first surged and then fell by 7 percent after Twitter, Google (NASDAQ:GOOG) (NASDAQ:GOOGL) and Facebook (NASDAQ:FB) decided to block ads associated with ICO and cryptocurrencies. In 2013, after Ben Bernanke, the US Fed said that blockchain could be a cheaper alternative to the international money transfer system; Bitcoin grew immediately by $200. In early March last year, over the week, Bitcoin lost in price more than 20% after everyone became aware of the introduction of new measures to regulate cryptocurrency in the USA, China and Japan. A few months later, the rate of Bitcoin on Iranian crypto exchanges increased 4 times and reached a record price of $26,000 for 1 BTC. Cryptocurrency soared immediately after the news was released about the legalization of mining in the country as one of the individual industries. Rob: You have mentioned in your work that industry has begun adopting the blockchain, such as in shipping between Maersk and IBM (NYSE:IBM). What is motivating the industry to adopt the blockchain, and are there other examples of companies using them to facilitate trade? Yulia: A study by Markets & Markets, which surveyed major international organizations, states that by 2022, the global market for blockchain-based services will reach almost $8 billion. Juniper Research agency surveyed about 400 senior managers and technical directors in large companies. The results showed that over 60% of companies intend to use blockchain in the near future. The international auditing firm Deloitte conducted a survey among representatives of thousands of companies with annual sales of over $500 million. The study involved companies from the USA, Canada, China, Mexico, France, Germany and England. A third of respondents said that their company already used blockchain, and a little more than 40% reported plans to introduce distributed registry technology into business processes during the year. On September 23, with the support of the Ministry of Finance of Dubai, the blockchain-based payment network was officially launched. The system of reconciliation and calculation of payments (through PRS) was designed to help municipalities, such as the Dubai Police and the Department of Transport and Health, to conduct and track real-time transactions, both inside and outside. The American city Berkeley launched an initiative to include the blockchain technology in the process government funding for national projects. The pilot project aims to reduce the minimum price of a municipal bond from $5,000 to $10-25 to allow more citizens to invest in municipal projects that they support. Vice Mayor Ben Bartlett suggested that if the experiment is successful, the authorities may consider creating a token that will act as a municipal bond while providing urban funding. Russia is another country which is leveraging blockchain to enhance agricultural trade and commerce. At the height of the season, which lasts from April to November, there can be up to 20,000 applicants from all over Russia on Moscow farmers' markets, while only about 2,736 places are available to traders. The officials decided that the organization of the commercial space and informing the applicants can be simplified and improved using the blockchain. As we can see, there are a number of projects where DLT is now being integrated in or tested; however, the companies are not in a hurry to launch it at large scale since the technology is relevantly new and different risks should be minimized. Rob: The financial sector is usually first adopter of new technology to facilitate speed and efficiency of transactions. How are they now adopting blockchain into existing financial processes or in creating new ones? Yulia: Banks can be called pioneers of the field of blockchain technology. The fact is that the first of the practical applications of distributed registry technology was purely financial. Moreover, the financial sector had a large number of problems and tasks for solving which the technology of distributed registries proved to be extremely useful. Now it has already found application in other industries, but financial institutions still continue to prevail in terms of the general interest in technology, the search for use cases, and implementations. In USA, local authorities have found an innovative way to speed up bureaucratic processes and paperwork in the field of taxation using cryptocurrencies. In the summer of 2018, the Seminole County tax collector began to accept cryptocurrency to pay for property, driver's licenses, identity cards, car numbers and other taxes in bitcoins. All transactions are processed and verified by BitPay, which, according to the company's blog, eliminates the risks of bank card fraud and identity theft, and also reduces processing fees. Prospects of blockchain are also relevant for the Estonian banking sector. An example of this is LHV Bank, which, with the support of the Swedish company ChromaWay, developed the Cuber Wallet. The solution’s functions are based on the open protocol of Bitcoin's Blockchain - Colored Coins. Cuber Wallet is available for iOS and Android users and can be accessed through a private key. The wallet allows users to send and receive euro instantly 24 hours a day at no cost. Rob: How does the blockchain reduce costs over legacy systems? Yulia: Here, it is more correct to speak with regard to reducing operating costs when using blockchain. Rob: Fraud and theft have damaged the reputations of the crypto exchanges. How are the banks utilizing the blockchain to address the security problem? Yulia: This question is quite difficult to answer unequivocally, and much depends on the details of this or that solution. In most cases, we can say that blockchain is safer than many other technologies due to its architecture. In the distributed registry, you can view the entire history of operations, and in their conduct, cryptographic mechanisms are used, which also provides certain security guarantees. In practice, decentralized app security is often at a very low level, so while things cannot be integrated more seriously into the Ethereum ecosystem, using the example of CryptoKitties, smart contracts can be certainly used to validate student diplomas as Vitalik Buterin wanted. But what if in one of such applications a critical vulnerability will be found, due to which a degree will be assigned to a completely different person? Rob: Will this system solve the existing blockchain issues with speed of validation? Yulia: Today, the founders of the largest blockchains, Bitcoin, Ethereum, and Litecoin, have practically found a solution for bandwidth and claim that they will soon be able to compete with Visa (NYSE:V) and Mastercard (NYSE:MA) in terms of transaction processing speed. For example, the second-level Bitcoin scaling solution for the Lightning Network recently exceeded 650 BTC bandwidth and is now only a few seconds slower than traditional centralized digital payment platforms such as Apple Pay (NASDAQ:AAPL). Testing has shown that Lightning Network payments can be processed as quickly as a TCP/IP connection is created between two nodes. It has been shown that one channel handles more than 250 TPS, so the network can scale without a real upper limit. Rob: What about exchanges of existing currency into cryptocurrency? Will customers be able to easily exchange back and forth between the two, or is the objective to keep the crypto once it is purchased? Yulia: At the moment, users have at their disposal a sufficient number of tools for storing and exchanging cryptocurrencies. These are exchanges and fast exchange services. In many online stores, it is also possible to pay in cryptocurrency. For example, Microsoft (NASDAQ:MSFT) started accepting Bitcoin as a payment for the content on the Xbox and in the Windows store.